Blue Planet II tells us amazing stories, sometimes at the expense of reality. You can count me as a BBC Natural History program superfan. I grew up seeing snippets of nature’s soap opera going on on my TV and it gave me confidence to go out myself and start looking for it. I’m now a seabird conservation scientist with the Royal Society for the Protection of Birds and I have worked with on conservation projects for seabirds, including puffins. So normally I watch Blue Planet II already loving it before it even starts. I was not disappointed with this week’s coasts episode – puffins flying under rainbows, anemones with indigestion and shearing waves casting the outline of a chess knight. WOW. Job done BBC. However, this week I had been asked to review the episode for Nature Ecology and Evolution and so I watched it with a new, dare I say it, critical, eye. I was asked to report on the episode from an expert point of view and to my horror, I began to notice the sleight of hand used to turn a collection of footage from the every-day existence of animals into epic stories that grab our attention. Of course, a little of this is entirely justified, but what if this sleight of hand goes too far? In the current era of ‘fake news’, I wanted to explore this. 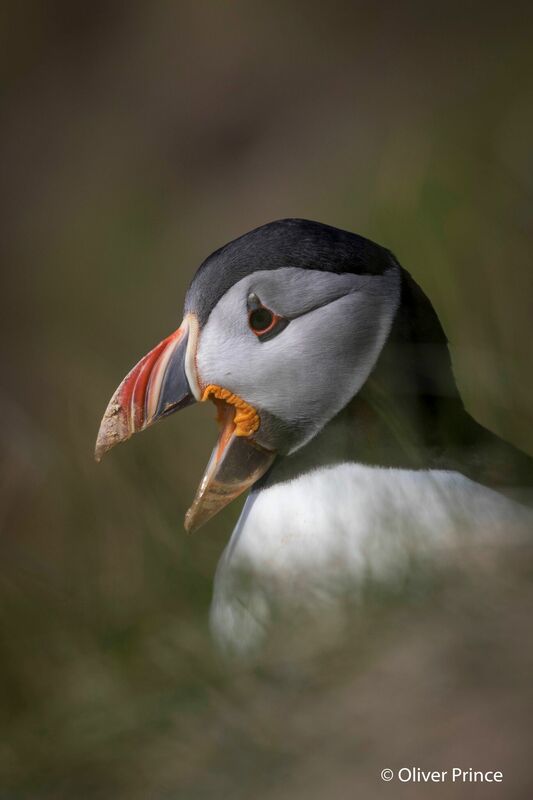 My first jarring moment came not with the pictures but with the sound, during a beautiful sequence of a puffin coming out of its burrow “a fisherman, a father and a mate for life”. The shot showed a puffin standing in the sunlight and opening its beak. Puffins do this regularly, it is part of a fascinating array of postures and social behaviours, the accentuation of which probably lead them to evolve the bright legs, beak and coral-red eye ring that they are famous for. They walk in stylised puffed up ways (hence the name) to signal ownership of a burrow, like a century on duty, or stooped rapid walks to diffuse tension “just passing through, don’t mean any trouble” or bill tap with their partner to strengthen bonds. The opening of the beak is a threat signal called gaping and it is almost always silent. In fact, puffins very rarely make any noise at all unless in the burrow or being attacked. In the episode, a real puffin call, which sounds like a creaky grumble was added when the beak opened, so it sounded like the bird was calling. In fact, the puffins on screen were making regular grumbling calls, which I do not believe they would naturally make in that setting. Once I’d seen that I kept spotting sounds which didn't seem realistic. The mother turtle returning to her beach made weird growling noises when breathing at the surface, and the anemone with indigestion sounded like Darth Vader! I wondered whether I was just being a stereotypical pedantic scientist, after all, without the exciting sounds and music a lot of the drama is gone (try watching with the sound down!). I accept that sound is hard to record so it is normally added afterwards. However, in the case of the puffin footage, it wasn’t a failure of recording technology but the fact that the sound editors either didn’t know that puffins don’t make calls in that situation, or they wanted to add them anyway, because hearing them make noises helps the watcher connect with puffins and by connecting, we are gripped. I do think it must be one of the best jobs on the planet to fit the sound to Blue Planet 2 pictures (apparently the noise of polar bears skidding on ice is made by adding custard powder to a pair of tights and squeezing!) but was it a step too far too add fake sounds in unrealistic places? Next we saw footage of puffins flying out on feeding trip. We were told that when fish stocks were low, puffins would fly 30 miles out to sea to find the good fishing grounds, that they would dive as deep as 40m and that the 3hr round trip of 60 miles would be “exhausting”. I thought it was fantastic that the failure of food resources for puffins was being aired on the program, though I’m sure the puffin is not exhausted. 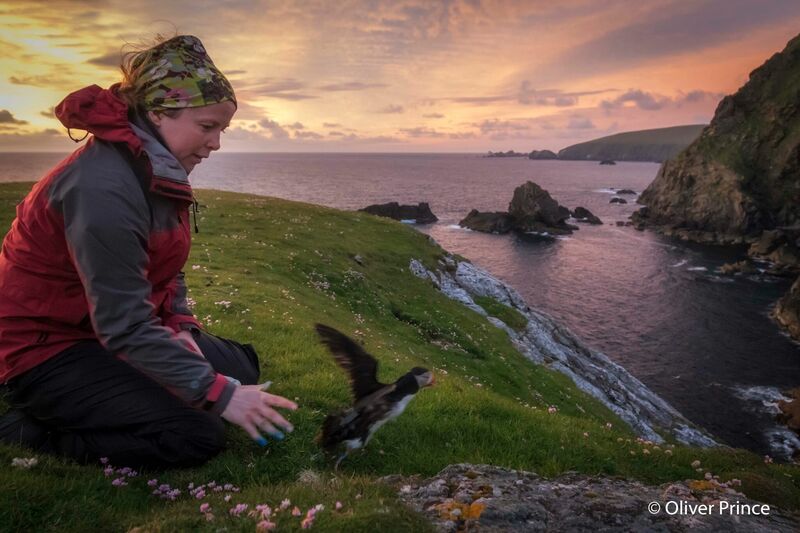 The BBC could not have know it when they made the show, but this summer we tracked puffins from Unst, the most Northerly island in Britain and actually followed one puffin travelling almost 250 miles to feed. That distance is shocking and is symptomatic of wider declines in this species that are so serious that puffins are now classed as vulnerable to global extinction by the IUCN, the same conservation status as polar bears and giant pandas. Was it a step too far to call the puffin exhausted? At this point viewers would have been well connected to the puffin, having heard ‘its’ sounds and empathised with its ‘exhausting’ journey. Cue the Arctic Skua. The music changed, the peril was tangible and I could feel a predation event coming on. We saw a sequence of several puffins and sleight of hand was again used to suggest we were seeing consecutive shots of the same bird who was in jeopardy and judging his return to the colony. I’m a recent convert to twitter and as the skua began performing its aerial acrobatics the #blueplanet2 lit up with abuse for skuas and pity for the puffin. Yet the real problem for puffins is OUR use of fossil fuels and the resultant increase in sea temperatures leading to changes in puffin food supply. In effect it is us who are the taking the pufflings food away. I had not seen one tweet chastising sealions earlier in the episode when they were blocking tuna into a cove and picking them off one by one. What this shows is that the production team for blue planet II know exactly what they are doing, they are telling a story and expertly playing with our emotions. And for the most part, we love it. So are these sleights of hands a step too far? I recently heard a talk on some exciting new research (due out next year) from my colleague at RSPB Centre for Conservation Science, which looked at people’s engagement with nature over a lifetime. What it found was that children are highly engaged with nature but this drops away as teenagers. As we get older, measures of enjoyment of nature return but, worryingly, our sense of responsibility to care for it does not. What that essentially means is that we become consumers of wildlife, very interested but failing to feel responsible. Blue Planet 2 aims to bring nature into our living rooms but I’m concerned that by souping nature up it actually makes it feel further away and less real. The next episode of Blue Planet 2 will explore our impact on the sea and the efforts people are taking to aid its recovery and I expect this will bridge this gap in educating and inspiring ways. 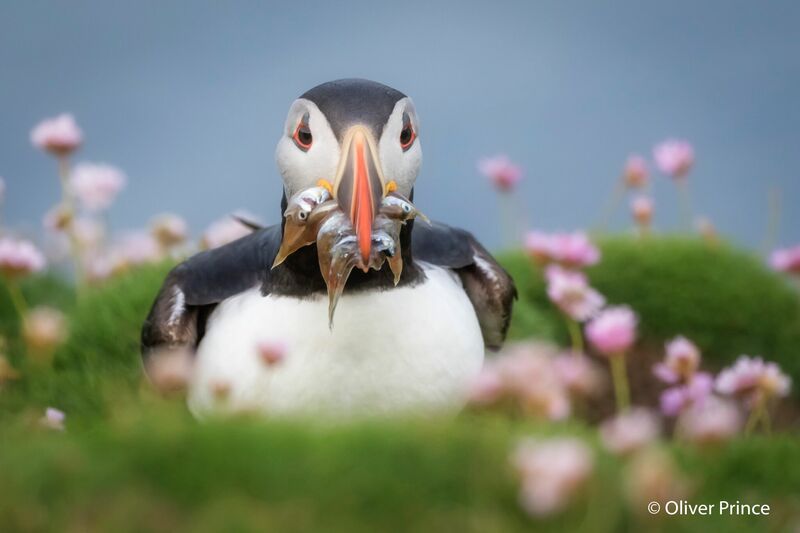 In my own work we have recently invited people to help us work out where puffins are struggling to find food for their pufflings by sending us photographs of puffins carrying fish. Until conservation stops being something people see as done by others (lucky wildlife cameramen, or wildlife charities) and becomes something most people do a little of, a bit like recycling, then I worry that more species will join puffins on the ‘vulnerable to global extinction’ list. I may be a grumbling minority but I for one think there is a little more space for reality in Blue Planet 2 without diminishing the fantastic storytelling.